Our inaugural Retailer Innovation Award recipients aren’t just doing something new, they’re reaping the business reward for the execution of their innovation. Award winners were recognized in six critical areas of business transformation —omni-channel retailing, customer engagement, in-store operations, WFM/HCM, loss prevention, and supply chain/fulfillment. The winners and finalists we recognized this year are addressing the incredibly complex problems retailers face today, and they represent some of the brightest minds and boldest leaders who are solving those problems through innovation. On behalf of the team at Innovative Retail Technologies, congratulations to the winners of the 2016 Retailer Innovation Awards. We’re inspired by your success, and we know our subscribers will be, too. Recognizing that its customer base—which skews to older, affluent customers—is increasingly using smart phones, tablets, and mobile apps, Orvis has gone full-on mobile in its stores. With its Aptos Store POS system, the merchant is delivering on its “endless aisle” promise to customers and improving the engagement through digital. With its new platform, sales associates can order out-of-stock products online and process payments via a credit card reader-equipped iPad Mini. The associate can also use the iPad to show customers similar products that they might be interested in. Enterprise inventory visibility allows associates to locate a particular size, color, or style in any item, either online or at another store. The associate can then arrange to have the item shipped directly to the customer’s home. This in-store-mail-to-home approach is one of the tenets of Orvis’ omni-channel strategy, ensuring an easy path to purchase and more efficient product returns and repairs. Orvis is leveraging its Aptos Store POS system to support customer engagement in the store. The merchant is able to provide all the product, inventory, and pricing information shoppers need to make confident decision, as well as all the resources to process transactions efficiently and on their customer’s terms. If a customer finds two items in a store, but requests a third item that store doesn’t have in stock, an associate can order the out-of-stock product online and process payment for all three via the iPad Mini. A 10 percent increase in enterprise sales. Orvis customer capture growth from 56 percent to more than 70 percent. Doubled associate satisfaction compared to Orvis’ previous system. A bevvy of complementary digital tools make Sam’s Club a veritable case study on leveraging digital technology to transform the member shopping experience. Its newest innovation, the free Scan & Go App, is a homegrown solution that allows members to use theirsmartphones to completely bypass the checkout lane. Once inside their local Sam’s Club, members can use the app to scan UPC codes on items in their cart, and pay directly on their phone from anywhere in the club. The app also allows users tap into member-exclusive savings and easily track spending throughout their trip . 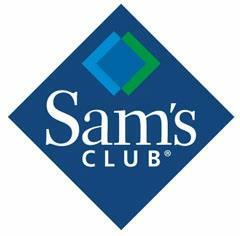 The new Club Pickup service allows Sam’s Club members to order items online from their club and schedule a pick-up time that works best for them. It was the first retailer to enable mobile check-in for product pickup across the entire chain. Location-based check-in enables the club to prepare orders for pickup before the member has set foot in the club. The retailer is rolling out curbside and drive thru pickup so that members won’t even need to leave their vehicles. Recognizing that more than half of online orders at Sam’s Club are reorders, the merchant built an easy reorder tool in its app and on its Web site. That tool stores members’ past purchases, allowing the reorder of those items with a few clicks. Club Pickup grew 46 percent year-over-year in Q4 2014. Mobile purchases tripled over last year and are growing nearly 25 percent each month. Members rate Scan & Go 4.5/5 on iTunes and a 4.1/5 on Google Play. 74 percent of members who try Scan & Go use it again within 90 days. Incremental spending has in- creased nearly 10 percent. Home Depot’s recent e-commerce and cross-channel fulfillment initiatives are reaping major rewards for the home improvement mega store. It’s become an undisputed leader in the enablement of buy online/pickup in store, buy online/ship to store, and most recently buy online/ deliver from store. The latter has been operational in more than 700 stores since the end of the second fiscal quarter 2016. 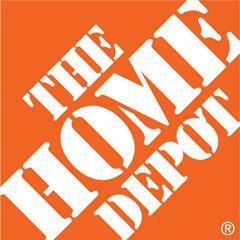 More than 40 percent of Home Depot’s online transactions are fulfilled in store. Those transactions are supported by beefed-up call centers and three one million-plus square feet of direct fulfillment centers strategically positioned across the country to deliver 90 percent of customers’ online orders of regionally stocked parcel items in two business days or less. To drive these interconnected experiences, The Home Depot recently launched a completely revamped site and mobile app to enhance the digital experience. It’s using data and behavioral analysis of how customers are shopping as well as customer feedback to make it easier for customers to engage with the site. That enablement is marked by aggressive investment in a combination of homegrown and vendor-sourced technologies, many of them customer-facing. The online user’s experience, for instance, dynamically adjusts to the screen size and device being used. Product information pages feature increased image sizes and clarity, multiple and 360-degree product views, videos, ratings and reviews, and Q&A pages. An intuitive header groups shopping, store information, DIY Projects & Ideas, and Services into simple accessible areas, and accessibility for visually-impaired customers is enhanced with minimum font sizes and contrasting colors to help optimize the viewing experience for people who are colorblind. Online commerce exploding beyond $1 billion sales growth year over year. 1.5 billion site visits in 2015. About $4.7 billion in total 2015 sales. Within a year of implementing Optimove’s CRM technology, AdoreMe created 66 unique customer personas and realized a 15 percent increase in monthly revenue, 22 percent increase in average order amount, 2.3X customer growth, and 85 percent campaign automation. Journelle, With NetSuite running its core retail business systems, Journelle is providing its store associates with a 360-degree view of the entire customer lifecycle with real-time access to the CRM data captured from across all sales channels, as well as its 20,000 SKUs across all locations. Roche Bros is allowing in-store associates to fulfill orders in an unlikely segment — e-Grocery. The initiative is enabled by ShopperKit software, running on Samsung tablets mounted on the associate’s cart, paired via Bluetooth to Brother Mobile Solutions’ RJ3050 printers for in aisle item and order labeling. By leveraging its relationships with its 3PL, Oracle, and Demandware, The Limited has developed a solution that allows customers and store associates to quickly reserve and order items from stores, decreasing the amount of overhead required to facilitate transactions on behalf of customers.